I've always loved little everyday luxuries. Wait! Did she say cleaning products??? Yes, I did. If you're thinking there's no way cleaning supplies can be luxurious, then you've never met Grove Collaborative. And if that's the case, please allow me to introduce you! 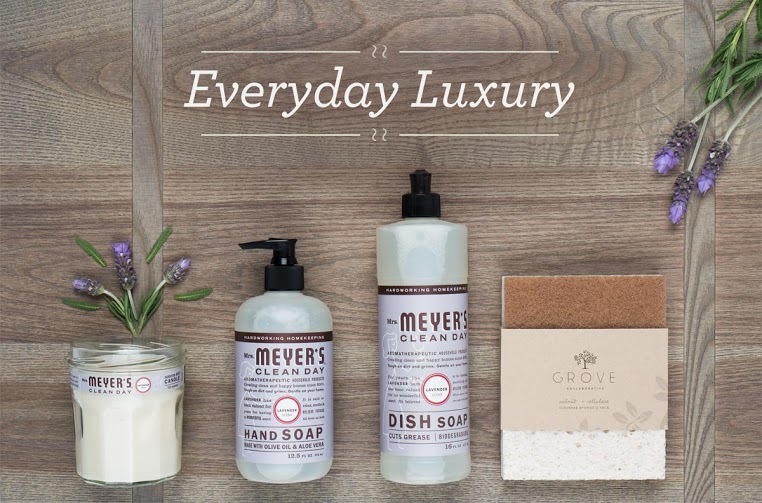 This month, Grove Collaborative has curated the Mrs Meyer's Everyday Luxury Set-and you can get it for FREE. The Mrs Meyer's candle smells incredible and it's a little luxury you can feel good about! 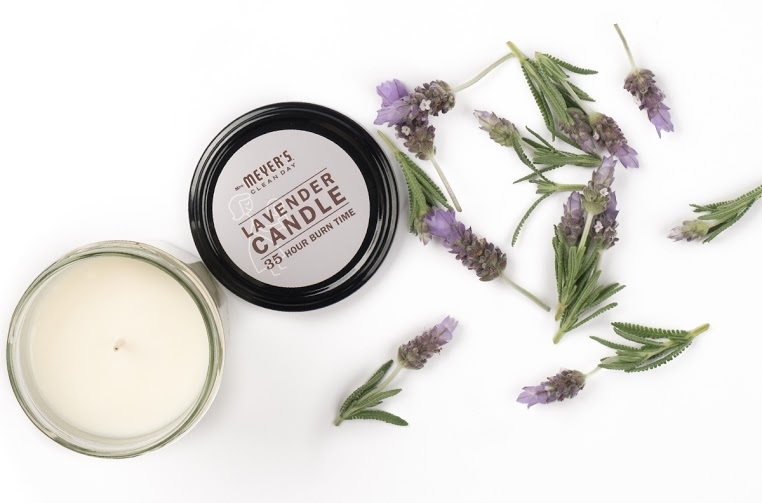 Made from vegetable waxes with a lead-free cotton wick, it gives off a clean, healthy burn. I adore the lavender scent, but I can't wait to try the lemon verbena. I always keep one on my nightstand for a quick aromatherapy boost before bed. The Mrs Meyer's hand soap and dish soap are toxin free and come in matching scents, so my whole home smells like a spa. Plus, they're all so pretty, I actually want to leave them out on my counter. The kit also includes Grove Collaborative walnut scrubber sponges- how awesome are they? They're made from crushed walnuts, so they're naturally tough on messes, but gentle on your pots and pans (and the Earth). I always keep a few of them on hand. If you're new to Grove Collaborative, you can get this set FREE+shipping when you place your first order that totals at least $20. My friends at Grove Collaborative have hand selected the most beautiful, healthy household products and will ask you a few questions to help find more products that you will love! It's like having a personal shopper for your home. You can choose from more lovely cleaning supplies like Mrs Meyer's Multi Surface Cleaner and Laundry Detergent. But, why not treat yourself to Acure's Aromatherapy Rose Argan Oil and Ultra-Hydrating Body Wash? Once you've customized your order Grove Collaborative will suggest a shipment schedule to keep you stocked up and on budget. 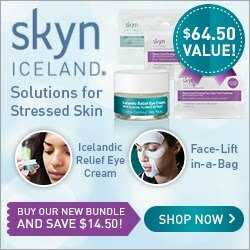 Then your favorite products will show up at your door right when you need them. 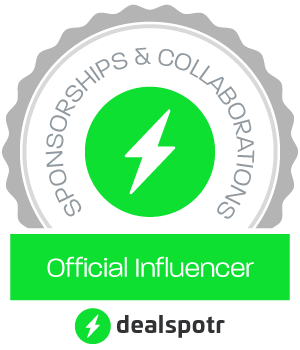 If you're already a Grove Collaborative fan like me, there's something for you too! When you use this link you will get a Mrs Meyer's hand soap FREE with your next order! You can't go wrong with one of these beautiful soaps and a fresh hand towel on your bathroom counter for instant ambiance. There are a limited number of sets and this offer ends Sunday May 1 so grab yours now! 1) Sign up for Grove Collaborative here. 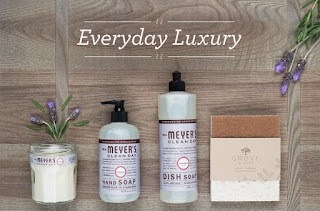 You'll receive the Mrs Meyer's Everyday Luxury Set for free when you sign up! 3) Once you've answered the questions, you can finalize your basket of products to suit your needs by adding or removing items. 5) Click "Finish and Pay" and place your order! Need some ideas for your first basket? I am totally obsessed with the Mrs Meyer's Multi Surface Cleaner, Dr Bronner's Pure Castile Soap, Method Cleaners in almost every scent available, and I absolutely love Method Toilet Cleaner! My kids have chore lists and also like the scents we find in the cleaning products we buy from Grove Collaborative. Plus, they are safe around kids and pets!